I’ve been in Australia for a couple weeks now, and between the showers the sun has been shining. It always seems to pour down the moment I step foot on Aussie soil. After weeks of 40 degree heat and blazing sunshine – we were greeted with monsoonal showers and strong winds. We’ve had some fantastic surf conditions along the points at Noosa though which are protected from from the onshore winds that affect the open beaches. The open beach breaks here have not been giving us much in the way of rideable waves with quite strong onshore winds each day and some hideous brown sea from all the run-0ff after the rains. 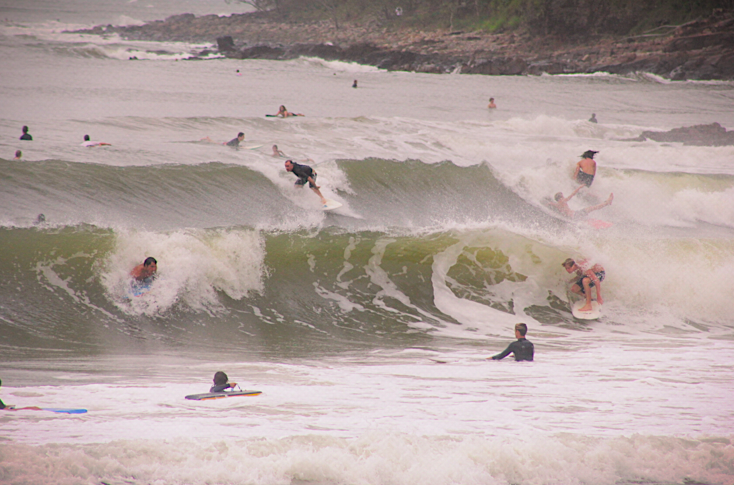 Last week I was joined here in Noosa by a swathe of fellow english surfers. 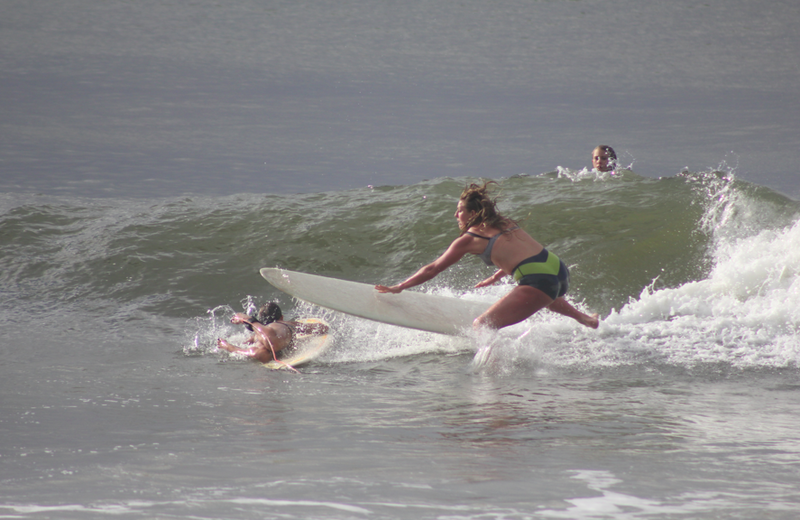 It’s great so see such an enthusiastic turnout for the upcoming Noosa festival of surfing next week. When I was last here to surf in the festival I was the only British surfer….this time there are several of us flying the flag for UK surfing! The competition starts this coming weekend, and the charts show plenty of swell coming our way from a developing cyclone system. We have our tag team entered so the event on Sunday, and the remainder of my events starting on Wednesday. More than anything I’m looking forward to snagging a few waves with just a handful of other surfers at First point. Surfing here can be pretty hectic. Running others over and getting mowed down yourself is pretty much the norm. It cartainly makes you appreciate the quiet conditions we have back at home. Even the busiest day in the summer back in Cornwall has nothing on an average day at the Noosa points. Sharing is caring? at Noosa this is the norm.